Rachel Gurney, Louisa Milwood-Haigh, Jonathan Norris et al. 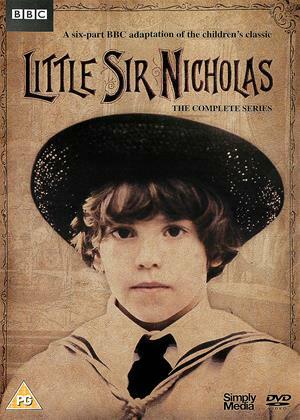 Based on the novel by Cecilia Anne Jones, 'Little Sir Nicholas' is a gripping Victorian saga about blood rights, identity and family rivalries. It has long been the destiny of the sons of the Cornwall's wealthy and proud Tremaine family to serve as officers in the Royal Navy, but this tradition seems doomed to end when Sir Walter Tremaine, his wife and their four-year-old son Nicholas are lost at sea in a wild storm. Five years on, Lady Tremaine (Rachel Gurney), still stricken by the loss of her son and grandson, advertises across the country for a distant heir to come forward. Penniless Londoner Joanna Tremaine (Bernice Stegers) is thrilled when her ten-year-old son Gerald is chosen to inherit the family title and fortune. But just as Joanna and Gerald settle into a life of luxury, Little Sir Nicholas is found alive and well in a small coastal French village. As Nicholas is brought home and struggles to adjust to life back in England, feelings of rivalry, bitterness, resentment and anger rise to the surface. Gerald has grown accustomed to his new life. Just how far will his mother go to make sure he holds on to his title and riches?